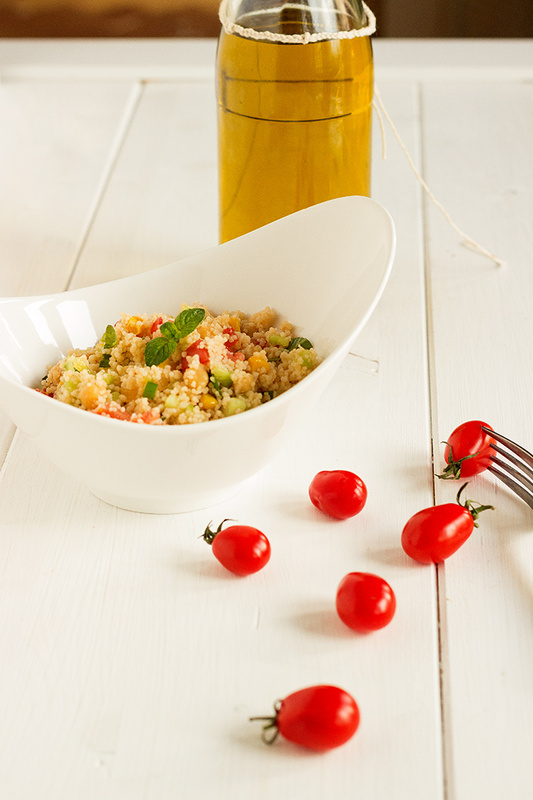 French tabbouleh recipe | a French girl "cuisine"
This is the best side dish of the summer to go with the numerous barbecues of the season. There are so many barbecue right now. At the beginning of the summer, I was quite disappointed … The warm weather wasn’t really there and organising barbecue under the rain isn’t so fun. But now, we happen to have a barbecue almost everyday and even if I love meat, I could happily become vegan for some times. Anyway, this is not just all about grilled meat, tabbouleh is also really handy to bring with for a pic-nic. I have tried to steal the recipe of one of my friends for few weeks. Unfortunately she send me the ingredients but not the quantity. As a result, I have made it following my senses, like usual I have to say. I put together all the ingredients I wanted to put in my tabbouleh and then I cut, tasted and mixed until I got what I was looking for. Of course I took the time to take some note so I can share with you the recipe today. Bring water to a boil. Pour on top of the couscous semolina, cover and leave to rest for 5 minutes. Crumble using a fork. Wash, peel and dice cucumber. Wash and dice red hot pepper and tomatoes. Wash and chisel basil and mint. Add to the semolina all the ingrédients listed above. Mixed slowly for a long time.